Domestic violence is not the kind of theme you'd expect among the beer, babes and laughs of Super Bowl advertising. But the National Football League, still stinging from the public outcry over the way it handled Baltimore Ravens' Ray Rice's assault of his then fiancée, now his wife, last year, is working to resurrect its image with a public service ad—during the Big Game—that focuses on such abuse. The ad below, from Grey New York, discreetly avoids any direct images of violence. Based on an actual phone call, the spot opens with a woman calling 911 to order pizza. The operator asks why she's calling 911 for the delivery before realizing why she can't talk freely. He gets the caller's address and assures her help is on the way, even as the woman continues the ruse, asking for a large pie with half pepperoni and half mushrooms. 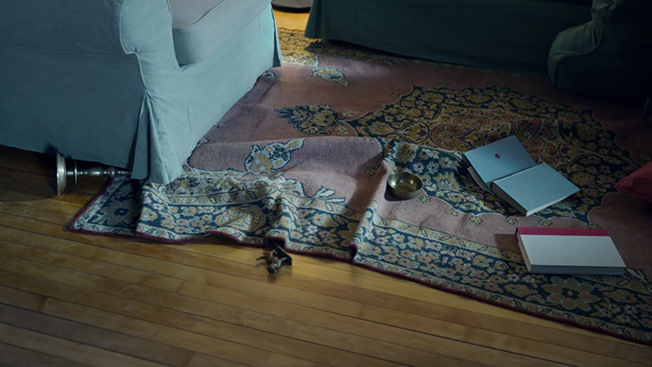 The camera pans across a house, where it looks like an altercation has occurred, with books strewn about a disheveled rug, a punched-out wall and a broken picture of a woman. The commercial ends with the line: "When it's hard to talk, it's up to us to listen." The spot is part of the NFL's "No More" campaign that has been running during the league's games. The NFL donated its airtime for the Super Bowl spot and production costs. The backlash against the NFL and commissioner Roger Goodell has already become part of the build-up to the Super Bowl. Sports Illustrated has just reversed itself by agreeing to run a graphic domestic violence ad from the advocacy group Ultraviolet on its website this week. The ad shows a football player brutally attacking a young woman. In addition to airing on the Super Bowl, the NFL's new spot will run on digital channels and get promotion from celebrity supporters.